Pack Size: 1 x 10 LBS. 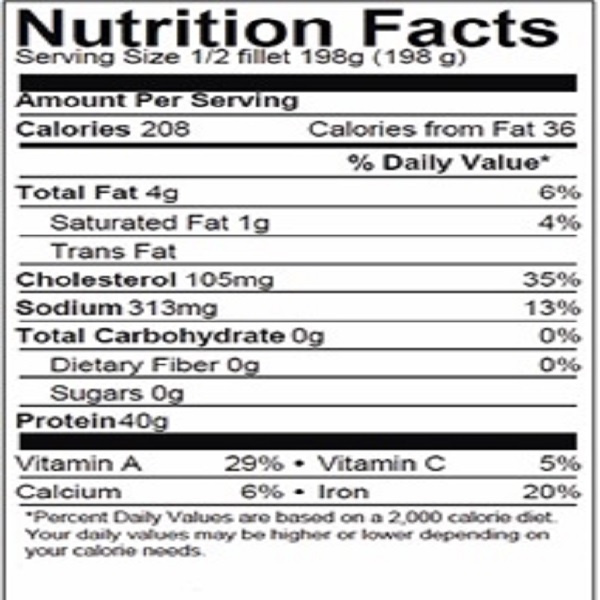 Pacific Kingfish/Wahoo has mild-sweet tasting flesh with a firm texture, moderate fat, and large, circular flakes and grayish/white color when cooked. 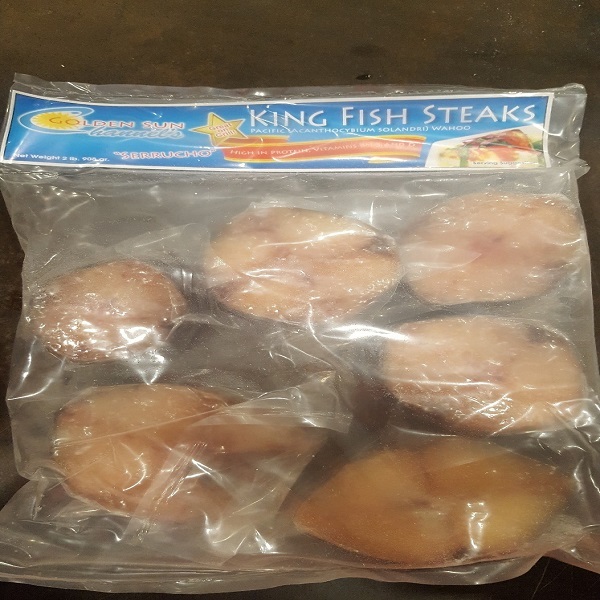 Channel Seafoods International offers these steaks year round individually vacuum packed, in 1 x 10 lb. bulk and in excellent condition. It is wild caught, using the hand lines and pole lines. There are a variety of cooking methods for these wonderful Pacific Kingfish steaks such as baking, broiling, frying, grilling, or sauteing. 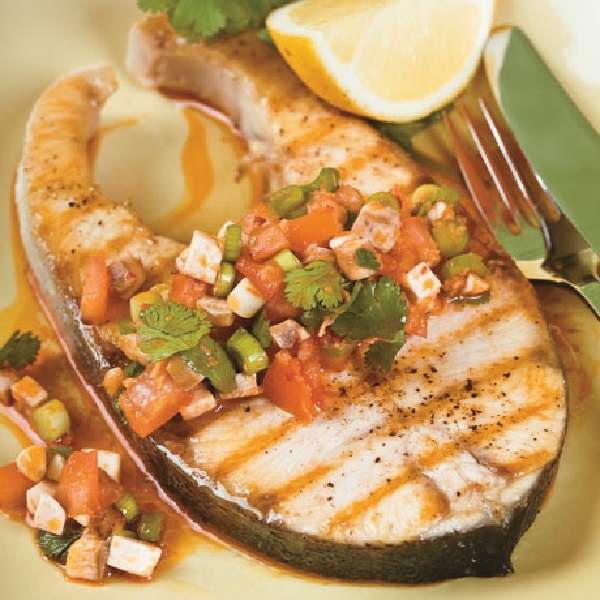 These meaty Kingfish steaks can be served along side a loaded baked potato or sweet mashed potato and green beans or salad.